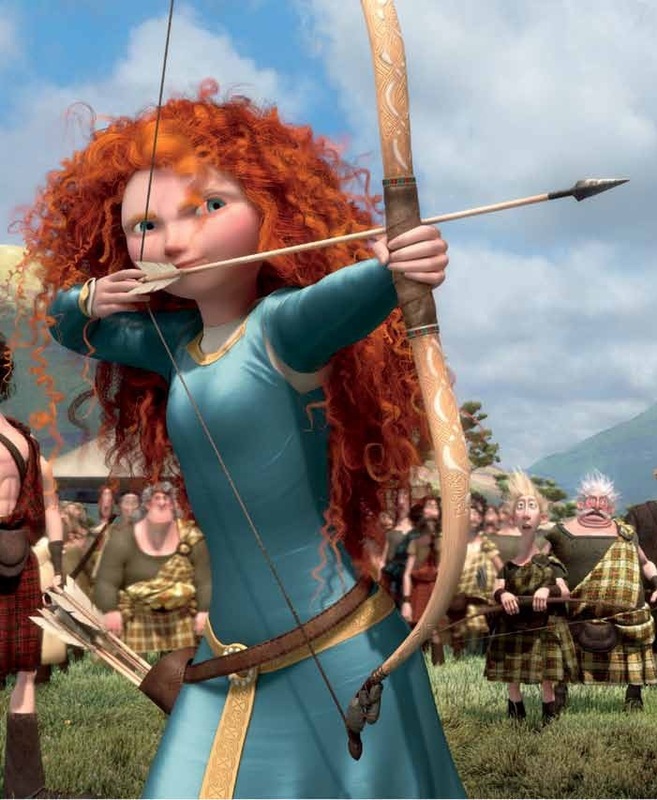 Today the new Disney-Pixar movie Brave opens in theaters. 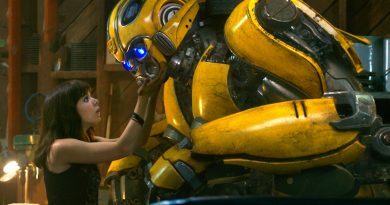 The initial reviews are mostly positive, and I’m excited to see another female heroine take the lead in a major motion picture. 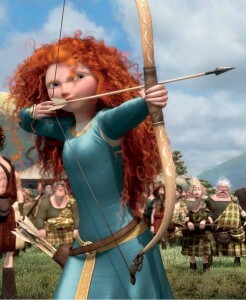 Last weekend at Epcot I got to try my hand at the Scottish games featured in the movie, including archery. I’m no Katniss or Merida, but I did hit the target! The spin of the wheel at Epcot put me in clan Dingwall, although I really wanted to be part of clan MacGuffin. The season finale of The Legend of Korra airs Saturday on Nickelodeon. Then she noticed that Trey had stopped talking. Instead, he was leaning forward, his forehead pressed against a heavy-duty, locking transparisteel cabinet. “I do.” He stepped back from the cabinet and shone his glow rod on its contents. The cabinet had two shelves, themselves transparisteel. On the top shelf were two silvery bowl-like stands, and in each rested a globe larger than a balled human fist—a globe with dials and a depressible button. GeekGirlCon selected Suzie Rantz as their Geek of the Month for June. 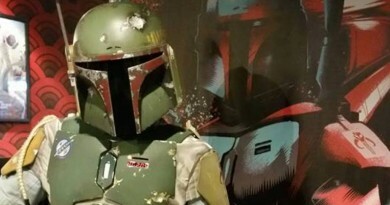 Club Jade reports on the recently announced application process for volunteering at Celebration VI in August and offers some sage advice for those interested in applying. Over at EUCantina, Erin Amos interviewed Random House Art Director Scott Biel about designing covers for Star Wars books. Megan Crouse reviewed Luke Skywalker and the Shadows of Mindor for Knights Archive, and Corax and Mrs. Corax rate Dawn of the Jedi #5 for Roqoo Depot. News of this year’s panels at San Diego Comic-Con is beginning to emerge. One fascinating topic is Once More, With Comics: How the Whedon Universes Continue in Comic Book Form, with panelists Katrina Hill, Jennifer Stuller, and Traci Cohen, as well as Buffy franchise VIPs. Another great one is The Most Dangerous Women at Comic-Con, moderated by Bonnie Burton with panelists including Clare Kramer, Adrianne Curry, and panel organizer Katrina Hill. 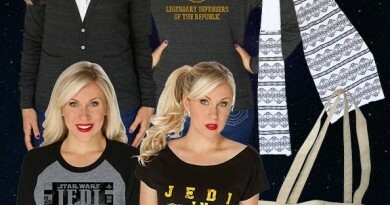 And Ashley Eckstein of Her Universe is teaming up with MTV Geek to spotlight geek girl fashion. 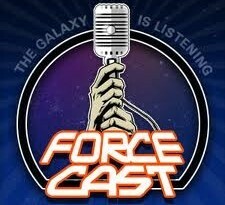 Thanks to a recent episode of the ForceCast for sharing news of another interview in which Tina Fey discussed her Star Wars fandom. Feeling like a Wonder Woman? HalloweenCostumes.com is sponsoring the Wonder Woman Costumes for a Cause contest. Do a good deed and win a costume; it’s as easy as that. 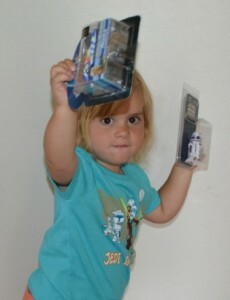 My niece Maggie proudly shows off her new “Jedi in Training” shirt, Disney Racer, and Droid Factory custom astromech. Saw Brave on Monday with my best friend and loved it! very heart touching and funny at the same time. 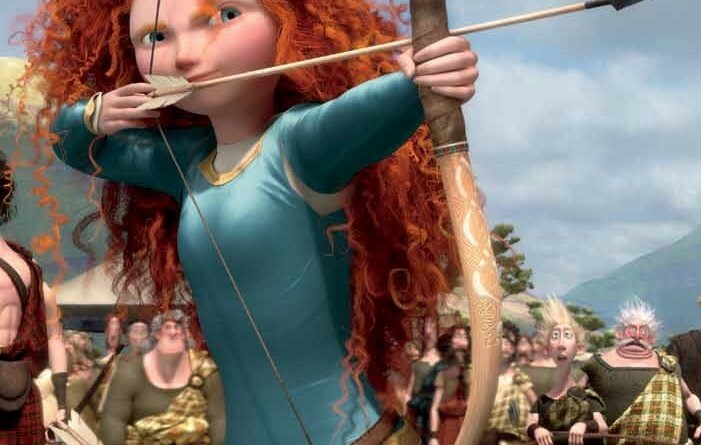 Merida is a good example to any girl.